Your preferred Volvo dealership in Clearwater has the brand-new 2019 Volvo S90 luxury sedan in stock and available for test drive. Stop in today, choose your favorite one from our available models, then take it for a test drive. Once behind the wheel you’ll see why more luxury sedan drivers are switching to Volvo, and why more Clearwater, St. Petersburg and Dunedin area drivers prefer Crown Volvo Cars to the competition. Drivers looking for a head-turning luxury sedan will be impressed by the sleek and elegant exterior of the 2019 Volvo S90. The 2019 S90 features Volvo’s signature LED Headlights with Thor’s Hammer design, 19- or 20-inch alloy wheels in a variety of spoke options, dual integrated tailpipes and glossy chrome accents throughout. With this beautiful design, the 2019 S90 looks to be made especially for the streets of Florida. St. Petersburg drivers can also choose from a sophisticated color palette that includes: Black Stone, Crystal White Metallic, Bright Silver Metallic, Osmium Grey Metallic, Onyx Black Metallic, Luminous Sand Metallic, Mussel Blue Metallic and Maple Brown Metallic. Want to see all of these great colors and features in person? Stop by your preferred Volvo dealership near Dunedin today and take a look at all of your options. You can also take different models out for a test drive. We have a variety of 2019, 2018 and 2017 Volvo S90 luxury sedans in stock for your convenience. Get behind the wheel of the new 2019 Volvo S90 and you’ll find a premium interior that was designed with the single purpose of making your life easier, and your drive more enjoyable. With luxury premium features that include 10-way power heated leather front seats with power lumbar support and driver seat memory, Sensus Navigation, voice control, a leather steering wheel and Volvo’s exclusive Crystal Gear Shift Knob by Orrefors®. Regardless of how many luxurious features we list, there’s only one way to experience them all and that’s by taking a test drive. 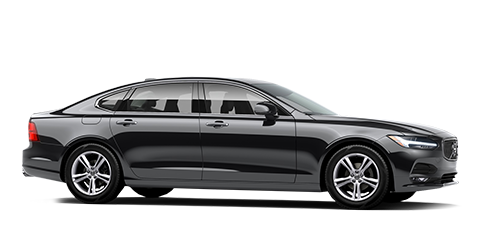 Do yourself a favor and discover true Scandinavian luxury behind the wheel of the 2019 S90 today at Crown Volvo Cars in Clearwater, proudly serving drivers from St. Petersburg, Dunedin and the surrounding areas. The 2019 S90 is available in 3 main engine configurations: T5, T6 and T8 eAWD across 2 distinct designs: Momentum and Inscription, giving even the most discerning drivers from Clearwater the versatility to choose their luxury and performance. All models are paired with an 8-speed automatic transmission. The 2019 S90 T5 comes in your choice of front-wheel drive or all-wheel drive with a standard 2.0 L turbo inline-4 that can deliver up to 250 horsepower and 258 lb.-ft. of torque, starting at just 1,500 RPM. Its front-wheel drive option is rated at an EPA-estimated 24 MPG city and 34 MPG highway. Choosing the all-wheel drive version drops its fuel economy to 23 MPG city and 32 MPG highway. The T6, which is available only in AWD, comes equipped with a 2.0 L inline-4 supercharged and turbocharged engine that makes up to 316 horsepower and 295 lb.-ft., starting at 2,200 RPM. The last, and perhaps most innovative, engine configuration is the one belonging to the 2019 S90 T8 eAWD Plug-In Hybrid. This model, like the T6, comes with a 2.0L inline-4 that’s both supercharged and turbocharged. However, this Volvo S90 is unique because of its additional electrical motor. Overall the 2019 S90 T8 eAWD Plug-In Hybrid can deliver an impressive 400 horsepower and 472 lb.-ft. of torque. Test drive them all at Crown Volvo Cars, then decide. Visit us today and take all of these exciting 2019 S90 luxury sedans out for a spin. Our luxury Volvo dealer proudly serves drivers from Clearwater, St. Petersburg, Dunedin and the surrounding areas in Florida. Come experience the luxury of Scandinavian design behind the wheel of the 2019 Volvo S90 now at Crown Volvo Cars in Clearwater. Our luxury Volvo dealership offers discerning drivers from Clearwater, St. Petersburg and Dunedin the very best selection at our best prices, every day. 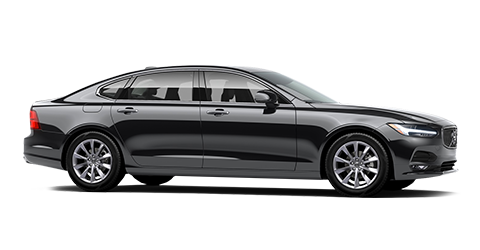 Explore our inventory of new 2019 and 2018 Volvo S90 today and you’ll see why we truly are The Better Way To Buy luxury.